The Blaggers are best described as the house band for Anti-Fascist Action – an independent organisation made up of separate antifa groups which was active from 1985-1995. Disillusioned with the ineffectiveness of the SWP-associated Anti-Nazi League, AFA's main directive was squadism and it's that ethic which informed the Blaggers' style. 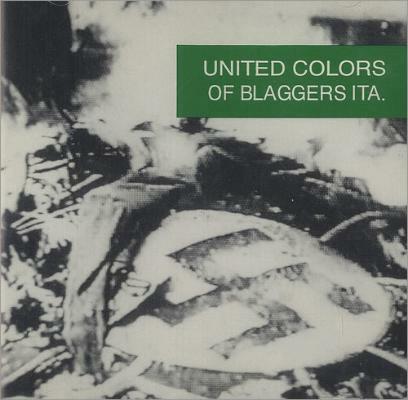 Featuring a spokenword verse from Mensi of redoubtable anti-fascists Angelic Upstarts, ‘That's Where It Ends’ is from the Blaggers' career-defining 1993 album United Colors Of Blaggers ITA. Featuring sampling of PE and the Blaggers’ usual dub/ska/punk/rap crossover redolent of The Ruts and mid-career Clash, it culminates in a stark reminder of the ultimate horrific consequence of unchecked fascism.